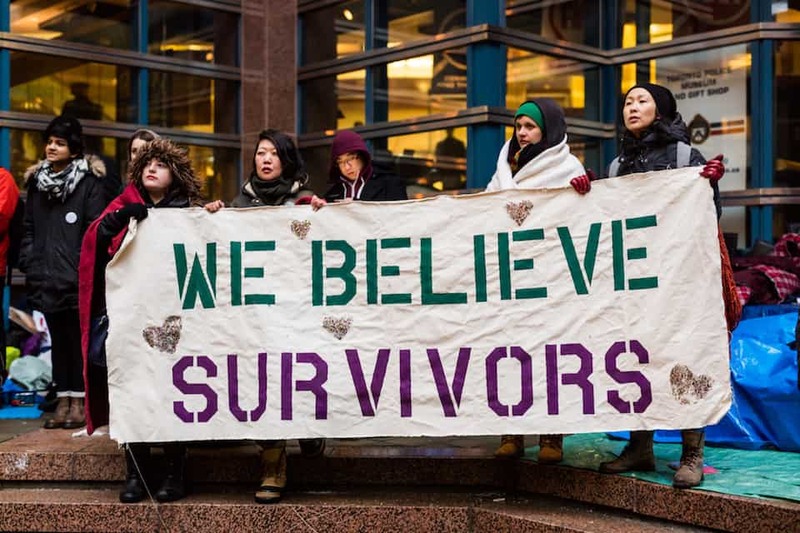 Following the conclusion of Jian Ghomeshi’s trial, which ended with an acquittal, hundreds of people rallied and marched in support of survivors of sexual assault. The rally was entitled ‘We Believe Survivors,’ illustrating the march’s intent to support and stand in solidarity with survivors of sexual assault and the women who came forward in the months leading up to the trial. The rally and subsequent march were organized weeks before the announcement of the trial’s verdict. “We wanted to make sure no matter the outcome, that there was a space for survivors to recognize and support the women who bravely came forward, all the survivors who couldn’t, and the many more survivors in our community that have been sexually assaulted, and you know just to make sure that they know there is a community backing them and supporting them in this process,” said Jennifer Hollett, a political activist and one of the organizers of the event. Influential activists and supporters came to speak to the crowd, including Glen Canning, the father of Rehtaeh Parsons. Parsons completed suicide in 2012, after photographs depicting her sexual assault surfaced and led to her being harassed and bullied. Canning voiced his support for the women who testified in the case and called for an end to victim blaming. When Lucy DeCoutere was introduced, she was met with thunderous applause and chants of ‘we believe you’ from the audience. DeCoutere was the first woman to publicly accuse Ghomeshi of sexual assault. DeCoutere said it would be “bad manners” for her to be in the area and not attend the rally, and thanked the audience for their support. Following DeCoutere, a woman who only wished to be known as Witness #1, took to the steps in front of Old City Hall. This woman was the first to testify against Ghomeshi in the trial, and she too thanked the audience for coming out to show their support despite the inclement weather. The contingent walked north on Bay Street to meet with Black Lives Matter-Toronto at the Toronto Police Services headquarters, where demonstrators have camped out for the past week. As the march passed, cars honked in support and onlookers clapped and stood in solidarity. The LGBTOUT drop-in centre. Courtesy of Benjamin Donato-Woodger. After years of trying to obtain student funding, Lesbians, Gays, Bisexuals, and Trans people of the University of Toronto (LGBTOUT) has successfully acquired a levy of $0.25 per semester. A majority of students voted in favour of the levy with 1,627 voting yes, and 1,119 voting no. There were 1,691 abstentions. The referendum ran concurrently with the University of Toronto Students’ Union (UTSU) spring elections’ voting period from March 22 to 24. 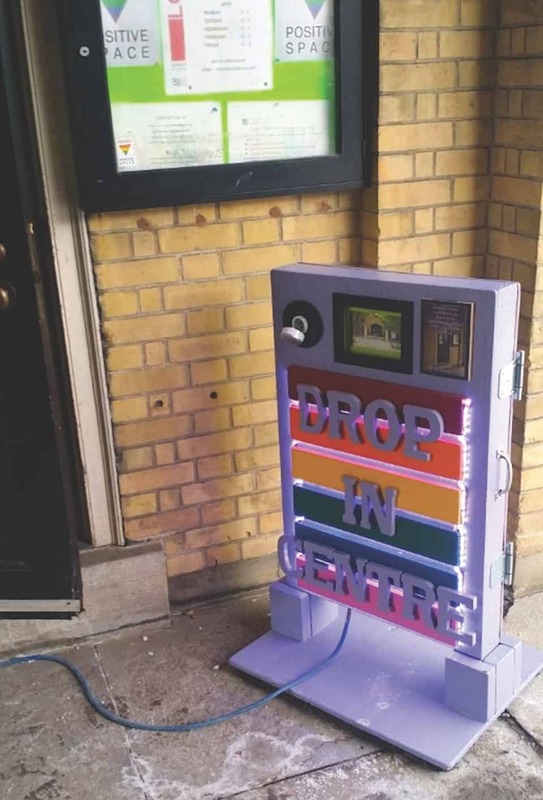 “To me, the referendum passing is an indicator of an overall improvement in the environment at U of T,” said Nathan Gibson, LGBTOUT drop-in centre director. “To be a queer student on campus and to have the MAIN [sic] queer organization on campus be a levied service group is such a comfort,” he added. Gibson also suggested that the levy would allow LGBTOUT to subsidize students looking to attend conferences that they would otherwise not be able to, in an effort to support queer students in their equity work. Despite passing the levy, the funds will not be immediately tied to inflation; the second referendum question that would have secured this indexation failed. There were 1,612 votes against the question, 1,328 in favour, and 1,497 abstentions. “In all honesty I think the failure of the second question was mostly a result of a lack of understanding,” said Gibson, adding that the question could have been clearer and that the campaign could have better emphasized its importance. “I [don’t] blame anyone for not knowing [the meaning of the question], I probably wouldn’t have if I weren’t working on the campaign,” Gibson said. He does not believe that the failure of the second question reflects the overall attitude towards the levy increase. Gibson said that he will likely investigate the processes by which such a change may come about for future years. “[The] most important thing is that the levy itself passed, the increase can happen at a later date,” Gibson said. If a campaign to tie the levy to inflation were to run in the future, Gibson believes it will be easier to explain because it will the main focus of the campaign “[I hope] that the coming years will bring a further push toward equity and inclusivity on our campus and so when we do attempt to tie the levy to inflation, it will have a better chance at passing,” he said. The passing of the referendum marks the first time in LGBTOUT’s 47-year history that the club will be levied. UTSU members at the St. George campus will pay the refundable levy in the same way that they fund other UTSU levy groups, such as Bike Chain and Downtown Legal Services. LGBTOUT has been active since 1969. The club held four referenda between 1999 and 2004 in an attempt to become a levied service group. All attempts were unsuccessful. In 1999, the response to the campaign was violent and homophobic, prompting U of T to create the Office of LGBTQ Resources and Programs, a forerunner to the Sexual & Gender Diversity Office. “I’m really happy to see our campus becoming a more welcoming space for queer students and I can’t wait to see what we’re able to accomplish in the coming years!” Gibson said. 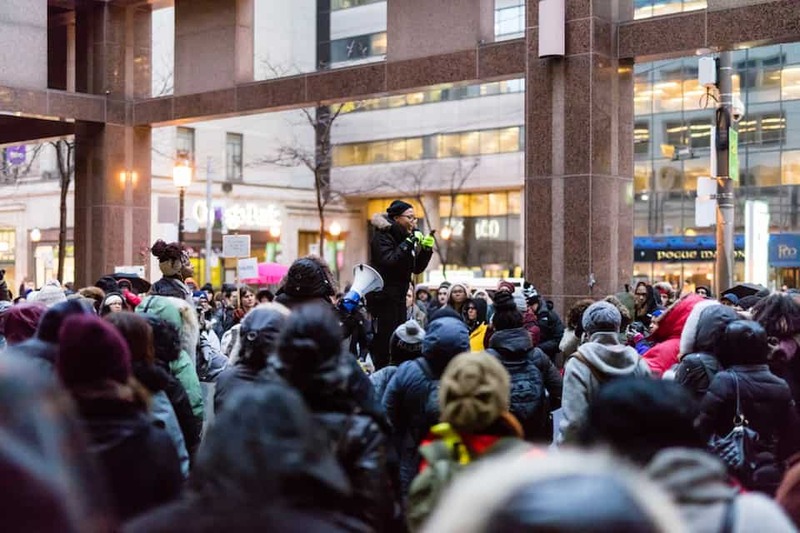 The Black Lives Matter-Toronto Coalition organized a BLMTO BlackOUT Against Police Brutality rally outside the Toronto Police Services headquarters on College Street last Saturday at 4 pm. Supporters of Black Lives Matter had been there since March 19, in a space they are calling #BLMTOTentCity. The rally was held in response to police action that took place on March 21, which was also the International Day for the Elimination of Racial Discrimination. Members of the police force removed tents and doused the fire that demonstrators were using to keep warm. According to the Toronto Police Operations’ Twitter, the action was taken because of safety concerns. Eyewitnesses said that materials were broken, personal belongings were confiscated, and people — including children — were attacked. “The unprovoked police action on peaceful protesters raising their concerns about Anti-Black violence is an affront to our civil liberties and freedoms,” read part of a statement from the organizers on the Facebook event page. #BLMTOTentCity began in response to the civilian police watchdog group, Ontario’s Special Investigations Unit (SIU) not indicting the officer who shot Andrew Loku. Loku, a black man, was shot inside a Toronto apartment building last July by an unidentified police officer. Additional demands include the condemnation of the use of excessive force against a protester, an overhaul of the SIU, a commitment to the end of carding, and the release of the name(s) of the officer(s) who killed Alex Wettlaufer, along with appropriate charges. Wettlaufer was a 21 year old black man who was shot dead earlier this month. Protesters eventually moved onto the road, which remained closed for most of the day. With approximately 5,000 homeless people living in the city of Toronto, Pooja Kaushal felt the need to help. She is co-president of WarmWorkers, a new U of T club that aims to help the homeless people of Toronto in an innovative way. Rather than collect monetary donations, the club collects redeemable food and drink coupons from companies, such as Tim Hortons’ Roll Up The Rim To Win or McDonald’s Monopoly Peel To Play. The group also collects gift cards for restaurants and grocery stores. “When dealing with the homeless, gift cards work better because we essentially know we’re making a difference with gift cards, because we know that we’re helping them at least get food [and] drinks,” Kaushal said. The group hosts outreach days, where they move through the city as a group, engaging with homeless people. Kaushal told The Varsity about her experience with a man named Jesse, whom she met during one of the club’s outreach days. The group’s plan consists of two phases: phase one is currently underway and involves collecting promotional food and drink prizes, coupons, and gift cards. 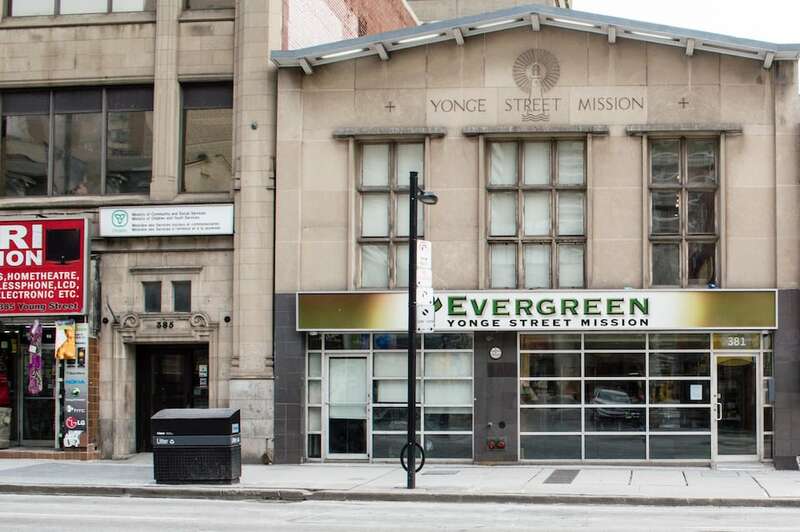 Phase two involves consolidating the relationships they formed with homeless people. In conjunction with their corporate sponsors, the club is seeking to provide homeless people with long-term stable housing. From there, WarmWorkers will work to strengthen interview skills, refine resumes, and help supply professional attire. The main goal of phase two is to help individuals get off the streets, and prepare them for employment and self-sustainable lifestyles. So far Kaushal believes the reaction to WarmWorkers at U of T has been nothing but positive. “We’ve been very successful, usually people are very generous with giving away their winnings because, you know what, at the end of the day it’s coffee, it’s a donut and we can afford those things but not everyone can,” she said.